We booked with Ryanair due to the reasonable flight take off times printed off the boarding passes at the local library I don't own a printer. The airline offered me the choice of pre-booking a seat as there weren't many left to choose from going by the list of available seat's. Once we got on board only 4 rows were reserved and were told just find a seat after row 5 they are all free. As for coming back from Spain this week all of the Spanish people were pulled out of the long queue and moved to the front. Is it just English people who hate queuing. My girlfriend purchased a wooden gift which weighed no more than 2 pounds and 4 inches wide but it was 5 inches taller than the allowed case height. She had no hand luggage so thought it would be reasonable to take it on board. No it was classed as oversized and the woman in charge having no common sense wanted to charge us the sum of 60 Euro to stick a label on it. Once on board we found several seats still empty. Surely knowing this a bit of lenience would have been used. Where once on board the seat next to us was empty anyway so she had to leave it at the boarding gate. How about teaching common sense in your training. Myself wife daughter and her boyfriend went to Paphos Sep 8th. We had no trouble getting through baggage counter .Flight was on time plane very clean and staff very courteous and helpful. As long as you follow Ryanairs rules you should have no problems. 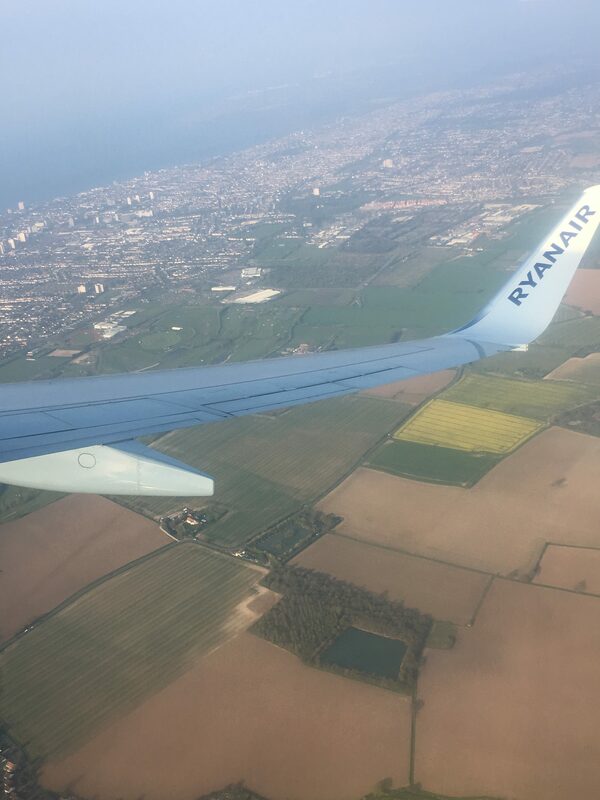 Coming back there was a 2hr delay owing to weather conditions over England and the continent something Ryanair could do nothing about. I don't know what you people expect off a low budget airline. Only problems caused were by stupid people with overloaded cases. One especially who could hardly lift his case. I admit I had reservations about travelling with them but would certainly use again. So try it you might like it. My flight from Dublin to Milan went well. It was the return flight from Rome to Dublin when the nightmare began. The flight was due at 9.00 pm it did not arrive we given no explanation for this. At midnight we were bussed to another airport escorted by Italian police. Then bussed back to the first airport. Finally we flew out at 6pm the next day. 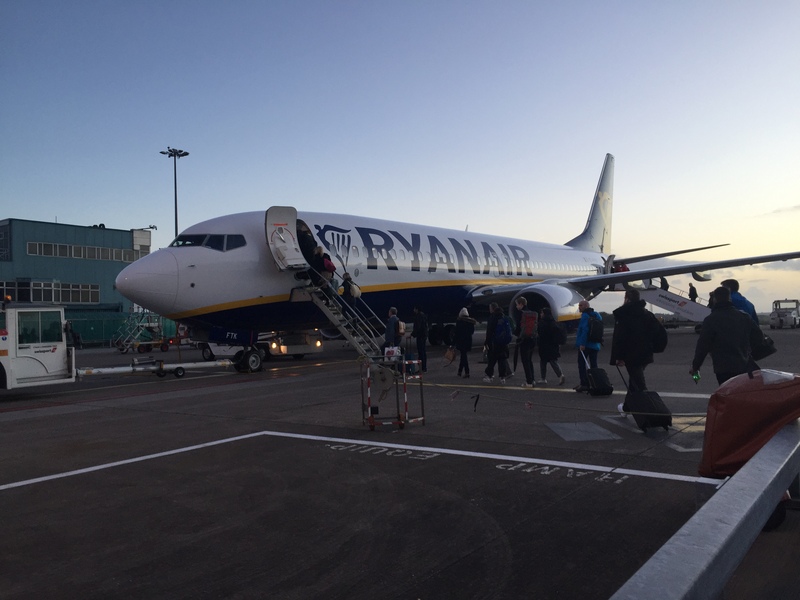 I will never fly Ryanair again I will pay the extra money to another airline for a better service. Flight 20/9/13 Malaga - Bristol. Fined 70 euro per person (2 people) for not having printed boarding passes - had email/internet problems and unable to do so in Spain - the printing of passes and taking of fines at check-in took less than 5 minutes which seems excessive and very unfair profiteering. Boarding gate opened about 17.30 - queue enormous as first come first served seating (unless you want to pay an extra £20 to reserve seat). Started boarding just after 6 - still boarding until about 7 - nightmare experience like herding animals. Held up by Spanish boarding staff team as told not allowed duty free bag as only one bag per customer in cabin - option pay extra 60 euro or put in cabin holdall - which we did but very stressful and which then made cabin bag too big. In the meantime large numbers of passengers passed us making us some of the last to enter plane - chaos on board with luggage and seating. BTW - 3 girls passed in front whilst we had duty free bag issue - they were carrying large shoulder handbags and wheeled cabin suitcases but not challenged at all by boarding team staff. Flight left over half hour late which appeared to be related to boarding chaos. Never flying Ryanair again! MRS-LTN. The low-cost terminal Ryanair uses in Marseille is absolutely the most depressing building I've ever been in it's reason enough not to fly. Flight was late arriving and departing seat comfort and service obviously nil and a 1 hour wait at the passport control desks at Stansted. I am a woman aged 77 years and I use Ryanair approx 6 times a year to visit my family as I live in France and Ryanair fly to East Midlands. To me it is like using a bus. I follow the instructions on the emails sent to me by Ryanair before my flight and I have never had any problems. The staff have always been courteous and I have noticed helpful when needed. Re people having problems at the airport these are caused by the staff employed by the airport not Ryanair. My only beef is that on one of my flights we had two male flight attendants who were so helpful to an elderly lady who had had a fall in the airport. They could not have been kinder to her and her family. The service is abrupt and very unfriendly. People are treated like second class citizens. Our trip to Treviso was appalling. At one point it was a free for all. No better than a cattle Market. The airline is a disgrace to travel. Like a conveyor belt there is no hospitality from staff. Herded on like cattle as plane was late getting in from previous flight. What really got me was the fact we had paid to have 2 (15kg) cases in the hold but had to have our hand luggage (Sports bag type - a mere 5-6 kilos) crammed under our legs as there was quote 'no room' in the overhead lockers because it is crammed with 10kg luggage cases. So basically we pay and get our legs cramped for over 2 hours and those who don't have priority baggage space and leg space! Must remember that next time if there is a next time. I don't think we got acknowledged from staff at all apart from if we wanted to purchase anything. I have flown Ryanair many times but only when there is no other viable option. Other airlines go to my destination but not in the short time nor low 'fare' cost this does not mean I dread each and every trip. Fingers crossed my next trip will just get there and that's all I want. Staff are rude and disinterested I worry if they would cope in an urgent situation. 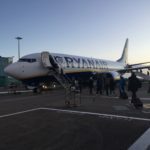 I am not satisfied with Ryanair it's just a matter of limited options. Overpriced cardboard sandwiches and so to the lukewarm drinks but again I know this and don't buy them. 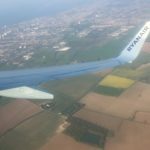 Flew Ryanair for the first time in July. Were not aware that reserving a seat gave you priority boarding! Had 3 seats in back row had to board from the front! No room for hand luggage by the time we sat down luckily staff helped out. Seats had little leg room flight to Crete left an hour late! On return got seats with more leg room bliss. Only real nightmare is reserving seats online outside UK. That said fight was cheaper than other airlines and was a new route to the west of the island we were very pleased.